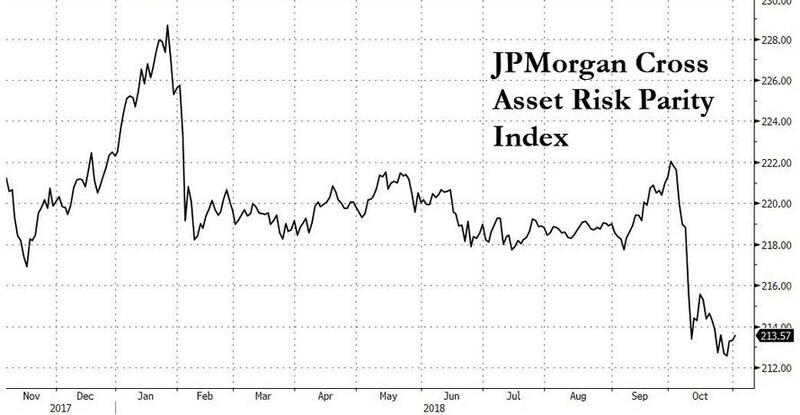 Hedge Fund CIO: If The 'Most Important Market Correlation' Does Not Flip, It Would Be "Catastrophic"
After a period of unprecedented calm in 2017, and nearly a decade of generally smooth sailing for the S&P, two things changed drastically at the start of the year: central bank balance sheets peaked at $16.6tn in March 2018, following a "liquidity tailwind" in the prior 12 month of a "staggering" $2.5tn of asset purchases by central banks. 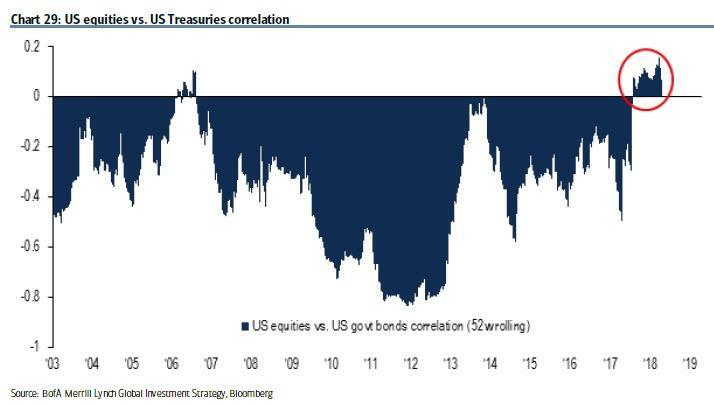 And, not coincidentally the correlation between bonds & stocks flipped in February 18, just one month before the liquidity supernova peaked, and for the first time since the Global Financial Crisis. 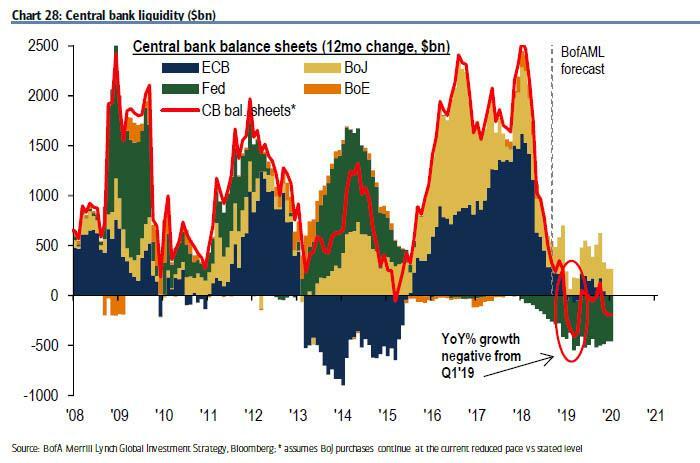 Bank of America's CIO Michael Hartnett put it simply: "the end of QE/central bank asset purchases = end of “volatility dampener” = lower stocks no longer bailed out by lower yields = regime shift to higher volatility." Eight months later he was right: when October’s fall was done, the S&P 500 came to rest -6.9% below where it ended September. European stocks fell -5.6%. China fell -7.8%. Japan dropped -9.1%. The MSCI world ended October -7.4%. MSCI emerging equities -8.8%, while American stocks alone lost $2 trillion in value during the month. The world’s safe haven fell despite the carnage in equities. Or perhaps, equities fell because the world’s safe haven declined. US 10yr treasury yields rose 10bps in October. A 60/40 stock-bond portfolio lost 3%. The failure of bonds to rally in such a severe equity decline was strange, he thought. Was this correlation shift a passing storm? A change in season? Or climate change? Storms come and go. But today’s investment portfolios are built for perpetual summer. A new season will be profoundly painful, he thought. Climate change would be catastrophic. 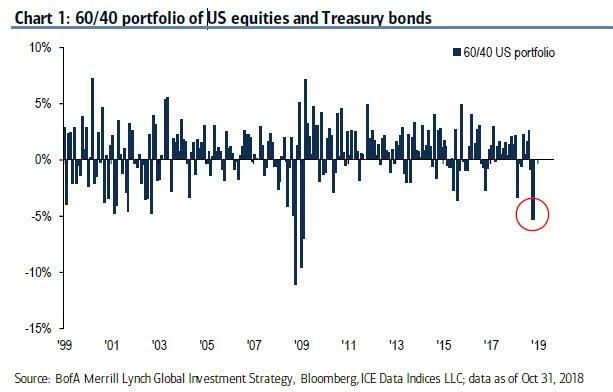 A quick tangent: whereas to Peters the generic 60/40 portfolio dropped 3%, to BofA's Hartnett a typical 60/40 portfolio of US stocks and Treasury bonds "lost 5.3% in October, worst monthly return since Feb’09." No wonder even risk parity funds got slammed. Of course, so did everyone else - as Peters continues, virtually all hedge fund indices fell in October; global, equity, event, credit, relative value, emerging markets, and macro/CTA. With the exception of some very modest single digit gains in relative-value trading, they have all suffered material losses in 2018. He also tracks multi-asset risk-premia indexes, which were utterly savaged in October: the overall index fell -12.6% (-20% YTD), the momentum index fell -12.9% (-17% YTD), the value index fell -22.6% (-61% YTD), and the volatility-selling index fell -8.6% (-34% YTD). There was one outlier: long vol strategies made some money in Oct, but even there, Peters observes "strange behavior in markets muted moves. The longer that volatility remains contained, the more it moves when unleashed, he thought, impatient." How can the losses be so universal, he wondered? Are there no contrarians? Or is it that after so many years of policy-induced endless summer, there are only a few ways left to make money? And both systematic and discretionary traders naturally succumbed to their allure, just as autumn arrives? Which brings up a bigger question: with renormalization gradually coming back to the market, is there anyone left who remembers how to trade based on, gasp, fundamentals instead of just expecting central bank bailouts and betting it all on hope as a "strategy"?